Ciara Mageean knew she was a talented athlete but until the year 2009 she didn’t know quite how good she could be, writes Ryan Goad. Mageean, from County Down, Northern Ireland, began that year juggling her running with playing the popular Gaelic sport camogie, the female equivalent of hurling. But by the time the Noughties ended 12 months later, Mageean was in no doubt that running was her future following a phenomenal 12 months which was kick-started by winning the 2009 under-17 women’s Virgin Money Giving Mini London Marathon. From that victory in April, Mageean – then aged 16 – went on to win a silver medal in the 800m at the World Youth Championships in Italy, a gold medal at the European Youth Olympics and numerous Irish titles on the track. Mageean had run the Mini Marathon twice before her victory in 2009. She finished 25th in 2006 and 20th in 2007 in races won by Charlotte Purdue and Steph Twell respectively. Both those races were over the shorter 2.6-mile distance before the event was made into the three mile British Championships. “I remember not really knowing what to expect in my first year,” Mageean said. “Heading over to London was a big deal though. I can remember my mum packing my bag and putting so many cereal bars in it there was enough for the whole team! I took part but it was that first year that I remember being particularly awe-struck. Taking part in the Virgin Money Giving Mini London Marathon also gave Mageean and her Irish team-mates a rare chance to take on the best of the athletes from the rest of the UK. She said: “In my first year I didn’t know anyone apart from the other Irish girls but as I came back for a second and third time I started to know the names of the other girls and who to look out for. “Steph Twell was my big inspiration and she won my race in 2007. The next year she won the 1500m at the World Junior Championships in Bydgoszcz and I was 10th and I really looked up to her. By the time 2009 came around, Mageean had well and truly lost the feeling of being awe of her rivals. Mageean’s tactic worked as she ended up finishing four seconds ahead of Louise Small and 13 seconds ahead of Emelia Gorecka. Another element that made the Mini Marathon experience so special to Mageean was the opportunity to represent Northern Ireland. “You don’t get that chance very often,” said Mageean who will be representing Northern Ireland over 1500m at the Commonwealth Games, with the heats taking place on Monday (April 9). 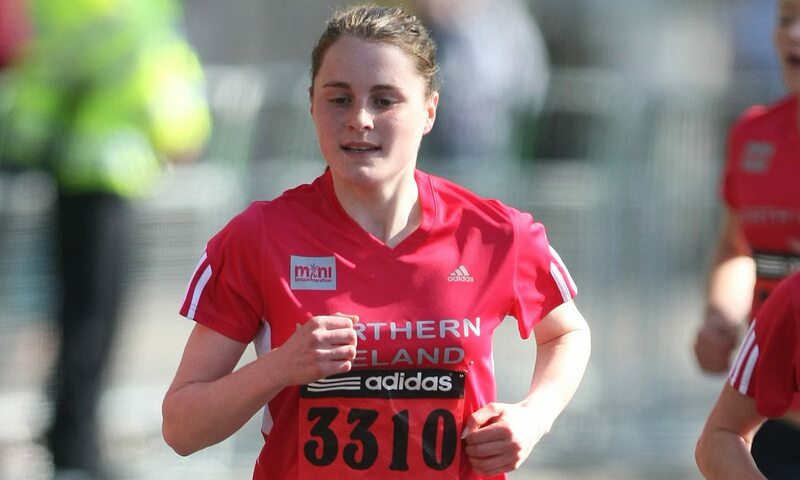 “I’m normally running for Ireland which I love and I’m very proud to do but I’m also very proud to represent Northern Ireland and it was always great running with the girls from Ulster at the Mini Marathon. Mageean was still a teenager when she represented Northern Ireland in the Commonwealth Games in Delhi in 2010 when she made the final and finished 10th. She has since won a bronze medal in the 1500m at the European Championships in 2016 and made her Olympics debut in Rio the same year. “Winning a medal at the European Championships gave me extra confidence,” she said. “I had won medals as a junior athlete but before that medal I’d struggled with injuries making the transition to seniors. “The Commonwealth Games is a big objective of mine this year. Again I get to represent Northern Ireland and the people in my small country.